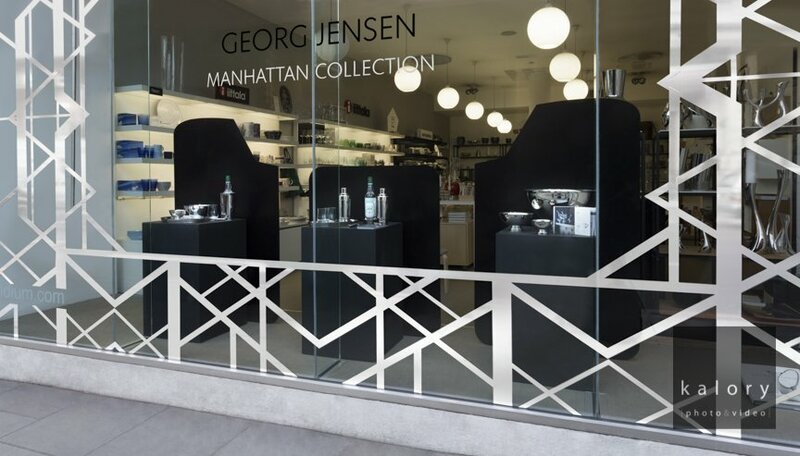 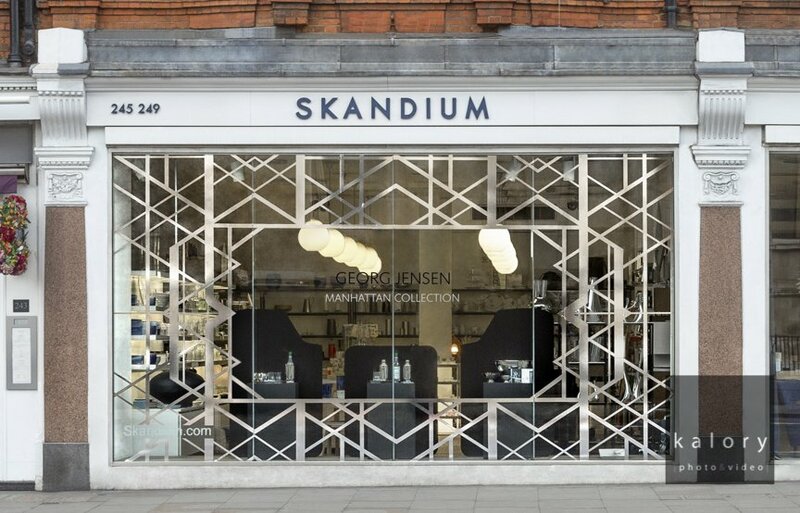 We photographed the Georg Jensen Animation displayed in the windows of the Skandium store in London. 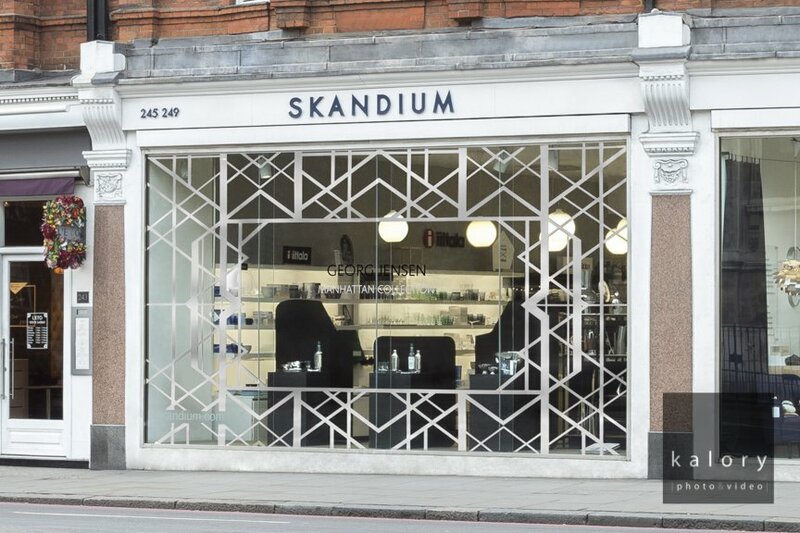 The shop is located near Harrods and the traffic makes it extremely challenging to shoot a day shot of the store controlling the reflections on the windows. 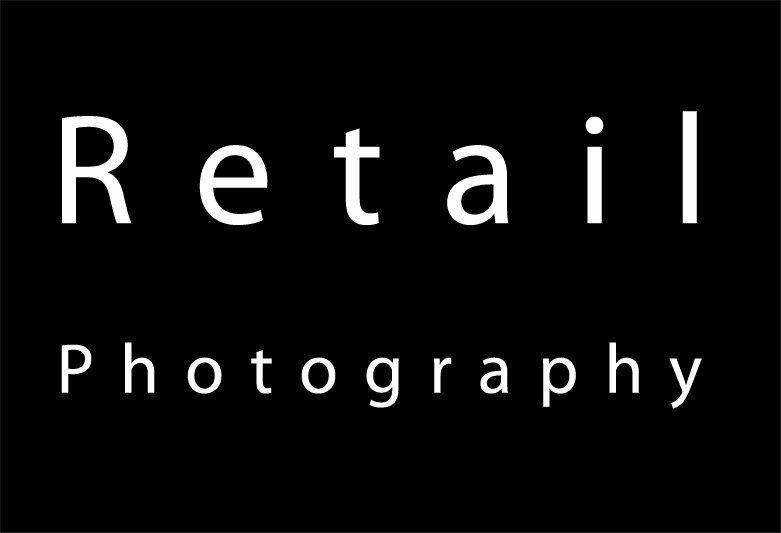 Once again, our team of photographers used all their technical tricks to create images in which you actually see what is in the windows rather than what is reflecting on them.